DJ is the son of CKCSC USA and AKC BISS GCH Magical Touch at Judyland and the daughter of Pinecrest Paisley Martini. He is the grandson of Eng CH Judyland Touch of Magic. Billy was a Best In Show Winner at The Cavalier King Charles Spaniel Club Championship Show in the UK in 2003. DJ is a a Purina Pro Plan Top 100 All Breed Champion, Multiple RBIS and Multiple BISS Winner, Multiple Toy Group Winner, Top Twenty Toy and currently ranked #1 Breed and #2 All Breed. Some of DJ's achievements include a Reserve Best in Show under Judge Dr. Gareth-Morgan-Jones at Butte County Kennel Club in 2013 and under Judge Mrs. Robert Forsyth at Gold Country KC in September 2012. He has won a Best in Specialty Show at The Oregon Trail Kennel Club under Judge Mrs. Karen Heron-Mills in 2013 and a Best in Specialty Show at the BACKCSC in October 2012 under Breeder Judge Mr. Richard Beauchamp. 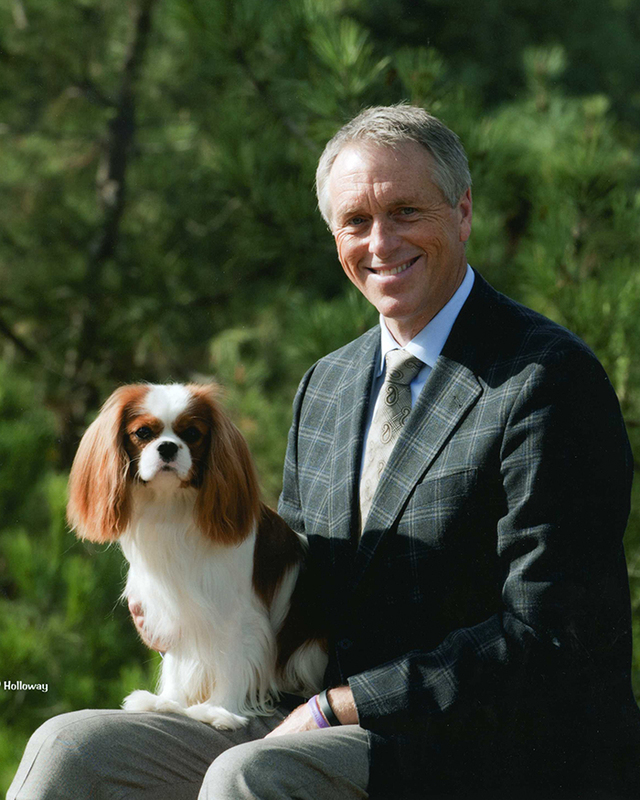 In May 2011, he won Best Puppy at the BACKCSC Specialty under English Breeder Judge Mr. Michael Levy. DJ is a Multiple Reserve Best in Show Winner, a Multiple Toy Group Winner and a Top Twenty Toy Dog. DJ is the youngest Grand Champion Cavalier King Charles Spaniel in AKC. He has been shown at very limited shows to date in the CKCSC-USA but is pointed. DJ is a fun Cavalier to show and live with but what he represents to us is the combining of the Judyland and Pinecrest lines. DJ is a repeat breeding of GCH and CKCSC USA CH. Magical Touch at Judyland and Pinecrest Paisley Martini which produced a very nice litter one of who is our very charming and effervescent GCH Quail Garden Kilkenny, JW. DJ represents a third generation of a Top Ranked Cavalier King Spaniel as both he, his uncle and father were Top Five Cavaliers in AKC.